If you want to lose weight, get fit, or reduce bloat, the only long-term strategy to ensure lasting success is by changing how you eat and increasing your activity level. However, several herbs and spices can help your fitness journey by boosting your metabolism, increasing your fat-burning ability, and stifling your cravings. 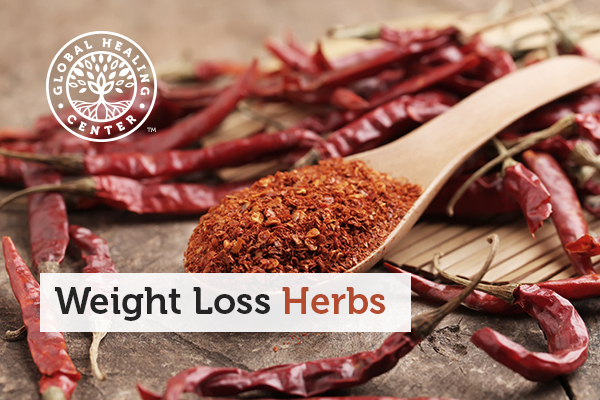 These herbs and spices can accelerate your natural ability to eliminate body fat safely and effectively. Turmeric (Curcuma longa), a member of the ginger family, is bright yellow and full of health benefits, including stimulating weight loss. You can buy the root and use it fresh, or buy dried, ground, turmeric. It’s known to reduce systemic redness, swelling, and irritation in the body. Turmeric also has high levels of antioxidants and supports normal blood sugar, cholesterol, and triglyceride levels. A study found that mice fed a high-fat diet and turmeric gained less weight and body fat over a twelve-week period compared with the control group who did not get turmeric. To get the same dose the mice got in the study, adjusted for humans, add ¾ of a teaspoon of ground curcumin spice to your food, or take three to four one-gram curcumin capsules daily. Cayenne pepper — and specifically the capsaicin it contains — has a powerful ability to help you burn more calories. Studies show eating it not only reduces your cravings for fatty, salty, and sweet foods, it also increases your metabolism and makes you feel full faster. Cayenne pepper is a key part of the popular Master Cleanse, which incorporates organic lemons, cayenne pepper, and maple syrup in a lemonade drink. Take one gram of capsaicin to get the full weight loss effects. That will make food quite spicy, so you may want to take it in a capsule. Drink with plenty of water so that you avoid a burning sensation in your throat. Hoodia gordonii made serious gains in popularity a few years ago when its beneficial properties became more well-known by the general public. Now, the dust has settled a little, but pure Hoodia gordonii is still an effective weight loss aid with serious backing. Used by the San Bushmen from the Kalahari desert in Africa, chewing on the succulent leaf and stem helped them suppress their appetite while hunting. It reduces cravings and allows you to cut calories without feelings of deprivation. There are many weight loss products that boast the Hoodia gordonii name, but not all are legit. To be certain that what you are getting is the real thing, purchase only from verified, reputable brands. Studies suggest that you should take at least 500 mg of Hoodia every day for best results. Damiana (Turnera diffusa) is a wild shrub native to the West Indies, Mexico, and Central America. It has a variety of uses, especially as a weight loss aid. This could be because of its effects on the digestive system sometimes encouraging loose stools and the subsequent loss of water weight. However, one study showed that when paired with other herbs, damiana helped delay gastric emptying, which provided a sense of fullness for a longer period after eating. Most people take 100-400 mg damiana daily. Combining it with yerba maté and guarana slows stomach emptying, which can enhance damiana’s effects. Gymnema is a herb native to Africa and India that has been used for centuries in Ayurvedic medicine. 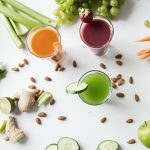 It is said to balance blood sugar levels, block sugar absorption, and stop sugar cravings, a major contributor to some people’s weight problems. You can purchase tea that includes gymnema, but people usually take it in liquid or capsule form. Look for between 400-600 mg of the leaf that contains 100 mg of gymnemic acids. Take one capsule before one or two meals per day. Kelp is rich in iodine, a substance that can aid in weight loss. Kelp contains alginate, which blocks fat absorption. A significant iodine deficiency can lead to hypothyroidism – a condition linked to weight gain. In addition to helping with weight loss, kelp is high in iron, which is needed for thyroid hormones that affect metabolism. You can try several types of kelp, including wakame, kombu, and arame, but not all seaweed species are kelp. I recommend 600 mg daily if you take kelp in a capsule, but you can add it to your diet in seaweed snacks, Japanese cuisine, or as a sprinkled condiment on salad, soup, or any dish. A natural compound in green coffee bean, chlorogenic acid, has been shown to increase fat absorption and stop weight gain. A study of green coffee bean extract showed that those supplementing with green coffee bean not only lost weight, but their body fat percentage declined. In the study, blood sugar was also reduced in individuals taking green coffee bean extract. One study in 2012 found positive results but was later retracted. However other studies since then have shown positive results as well. It seems the jury is out on green coffee bean, but regardless of the effect of chlorogenic acid, caffeine does increase metabolism. Doses vary from 240 to 3000 mg but be careful of higher doses since that is about the same caffeine as five cups of coffee. You may know it as a yellow-flowered weed popping up all over your yard, but did you know the common dandelion (Taraxacum officinale) has detoxifying, weight loss, and other health properties? Dandelion has several bioactive ingredients including taraxasterol (TS), chlorogenic acid, inulin, and sesquiterpene lactones, but chicoric acid is thought to be the most effective weight-loss component. The chicoric acid in dandelion root supports normal blood sugar and breaks down fat and cholesterol in the body. Dandelion root or leaf can be found alone or combined with other herbs or supplements in liquid extracts, teas, tablets, and capsules. Drink dandelion root tea between meals to reduce cravings and appetite. You can also throw dandelion leaves on your salad! Cumin (Cuminum cyminum), a spice native to the Middle East and India, is an ingredient in most curry and chili powders. A study found that overweight women who consumed three grams of cumin per day had lower blood serum levels of LDL (bad) cholesterol, triglycerides, and higher levels of HDL (good) cholesterol. They also lost weight, body fat, and had skinnier waists at the end of the study. Cumin comes in both seeds and powder, and either makes a tasty addition to many recipes. Your body may absorb more of the active ingredients from the ground spice. You can also take cumin in capsules. Ginseng and their ginsenosides increase the amount of energy that you burn, increasing your metabolic rate. Ginseng also suppresses appetite, reducing the amount of food you want to eat. Other studies have documented that consuming ginseng leads to more fat in the feces, indicating this herb boost fat burning, too. As a side benefit, it increases blood circulation and is believed to have aphrodisiac properties. Try a formulation that includes all three types of ginseng for best results: Tienchi ginseng, American ginseng, and Siberian ginseng (Eleuthero). Taking a supplement which combines these ginseng types with jiaogulan — known as southern ginseng, though it is not in the same plant family as true ginseng — will further boost your metabolism. Cinnamon and its active ingredient cinnamaldehyde may normalize blood sugar and reduce systemic swelling, which boosts weight loss. Studies also show it may reduce belly fat. A study found mice fed cinnamaldehyde with a high-fat, high-sugar diet saw reduced visceral (belly) fat compared with mice that did not get the cinnamon ingredient. You can safely consume 1/2 to 1 teaspoon (2-4 grams or 2000-4000 mg) of cinnamon powder a day. Cook with it, top your coffee or morning cereal with cinnamon sprinkles or take a capsule or two per day. Ginger root is delicious and makes a great addition to homemade tea and certain food dishes. It has properties that stimulate your metabolism and helps you get a flat tummy. Taking ginger increases feelings of fullness and enhances the thermic effect of food — in other words, how much energy it takes the body to metabolize and digest it — which results in a metabolism boost. Crush one to two inches of peeled ginger root into water, squeezing out the juice. Discard the pulp. Add sweetener if desired or drink plain! You can also cut up ginger root and add it to salads, coconut-ginger rice, or other recipes. Truly, the only way to lose weight and keep it off involves combining a healthful diet with exercise. 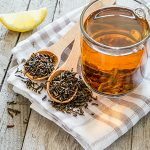 Including these herbs in your diet or supplement regime can give your metabolism an added boost, but they are not stand-alone solutions for weight loss and fat burning. Ginger, cinnamon, cumin, turmeric, and cayenne are all commonly used spices that have few if any side effects. 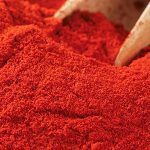 Cayenne is spicy, so use caution when adding it to food, especially if you are not used to it. With hoodia, gymnema, green coffee bean, and damiana, there are some known interactions with medications, so investigate before taking them or check with your healthcare provider. Green coffee bean contains a large amount of caffeine, so avoid combining it with regular coffee consumption or if you have heart conditions. Dandelion is safe when used at doses found in tea or supplements. Kelp can contain high iodine levels, so if you have a thyroid condition check with your healthcare provider whether it’s right for you. With any herbal supplement, always consult your healthcare provider if you are pregnant or have a specific health condition. Extremely high doses of any substance can cause health issues, so use as directed on your supplement. The only real key to weight loss is proper diet and exercise. However, herbs can help supplement an overall healthy lifestyle. Some of these herbs are fairly common; you may even find them at your local grocery store. For others, you may need a specialty health food shop or a trusted online retailer. In a best-case scenario, you could even find all these herbs in one convenient blend. Global Healing Center’s Slimirex® is a powerful blend of several of the herbs mentioned here and more. It can fire up your metabolism, help control your appetite, and energize your body in a natural way. Ejaz J, et al. "Curcumin Inhibits Adipogenesis in 3T3-L1 Adipocytes and Angiogenesis and Obesity in C57/BL Mice." J Nutr. 139(5),919-925. Ludy M-J, Mattes RD. "The effects of hedonically acceptable red pepper doses on thermogenesis and appetite." Physiol Behav. 2011; 102(3-4),251-258. Thom E. "The effect of chlorogenic acid enriched coffee on glucose absorption in healthy volunteers and its effect on body mass when used long-term in overweight and obese people." J Int Med Res. 2007;35(6),900-8. Wirngo FE, et al. "The Physiological Effects of Dandelion (Taraxacum Officinale) in Type 2 Diabetes." Rev Diabet Stud. 2016; 13(2-3),113–131. Zare R, et al. "Effect of cumin powder on body composition and lipid profile in overweight and obese women." Complement Ther Clin Pract. 2014;20(4),297-301. Zhipeng L, Ji GE. "Ginseng and obesity." J Ginseng Res. 2018; 42(1),1-8. Tamura Y, et al. "Ingestion of cinnamaldehyde, a TRPA1 agonist, reduces visceral fats in mice fed a high-fat and high-sucrose diet." J Nutr Sci Vitaminol. 2012;58(1),9-13. Mansour MS, et al. "Ginger consumption enhances the thermic effect of food and promotes feelings of satiety without affecting metabolic and hormonal parameters in overweight men: A pilot." study. Metabolism. 2012;61(10),1347-1352.